Posted on March 16, 2019 March 16, 2019 by Devi T.
I and my friend have written a short story about a topic very close to our hearts, about a beloved animal who is endangered. one has grown up. I am far too old to have children, so now I just walk around this beautiful icy land. It is cold and icy, just the right temperature, my feet are grazing across the snow-white ice, and my eyes are glistening, icy blue with a hungry gleam. I look around this amazing land. But over my years a lot has changed and that makes me unhappy. I have seen parts of my home melt away. Seen parts of my family drift away. How much longer could I love this land, if it was melting away? I see scientists adrift on their floatation devices, they are so lucky because when this land melts, I won’t have a safe place to drift on like they do. I see their vicious gleams from afar. The way they torture unknowingly, torturing me and so many. My name is Betsy, and I am a polar bear, whose habitat and life is in danger, because of you. You are making my land disappear beneath me. You may not care because what is one polar bear? Yet with one whole continent melting away, the ocean water will rise to extreme heights. Which will cause the humans home to become an ocean land? If my land goes yours does too. So it’s not just one polar bear, it’s the whole world, which is in a vast doom, because of your inability to accept the truth. Humans think that you are making your so-called ‘technological advances’ by polluting their own world. In the process of your ‘technological advances,’ you are killing our species including yourself. Think twice before you do something like that. The ice caps are melting, which means ocean levels rise, I suppose it’s karma. Karma, for all the terrible things you have done to us. When sea levels rise, your cities will die. I wish I could help you, but I am just a polar bear, what to do? What is there to do? There are so many solutions if the whole human race could just come together as one and understand the damages that have been done. Yet why would I help you? You split up my family, you’ve ruined my home? Why would I even try to rescue you? So I guess I will just pretend to be this ‘stupid’ polar bear, as you all see me. But the thing you don’t know is at least I’m not the one destroying this glorious home. So in the end, it is your decision, do you want to be the one who takes or gives? Helps, or leaves behind? The decision is yours, I’d recommend choosing wisely because, a death wish for one, is a death wish for all. I have written this with my best friend! So make sure to go check out her amazing blog!! Posted on March 7, 2019 March 7, 2019 by Devi T.
This book is for people who like reading light and thin books. However, it contains many scientific references too. The story starts off with a young girl meeting her “14-year-old” grandpa. He founded a type of jellyfish which “..reverse’s senescence through cellular regeneration.” He essentially became young again! The whole story is about how Ellie learns that becoming young again isn’t really nice. Her grandpa may not realize it, but being young isn’t always a good thing. What happens if nobody is old? Then what? You’ve heard of an aging population? What if you had a younging population? Too many obnoxious teenagers and the whole world goes south. Of course, Ellie has problems of her own too. Brianna, her best friend joined volleyball and now they are like Newtown’s first law of motion “A body at rest will remain at rest, and a body in motion will remain in motion unless it is acted upon by an external force.” Volleyball, just pushed Brianna away from Ellie. It’s the external force, pushing Brianna away from Ellie. So now, along with her grandpa staying in her 2 bedrooms 1 bathroom house, she’s dealing with her own friendship fights. Everything changes when her grandpa moves in. However, she can’t change her destiny. What will happen to her? Will her friend come back to her? Ellie’s life shows the true struggles of a middle schoolers life. This book may seem as if it is made for a young child but it is a book which astounded even adults. At the end of the day, it may just be a children’s book, but it is a book which is so wonderfully written. It brings you into the mind of a teenager, something which is very hard for all adults to do. Posted on March 4, 2019 by Devi T.
Why wait for a trial and fitting? 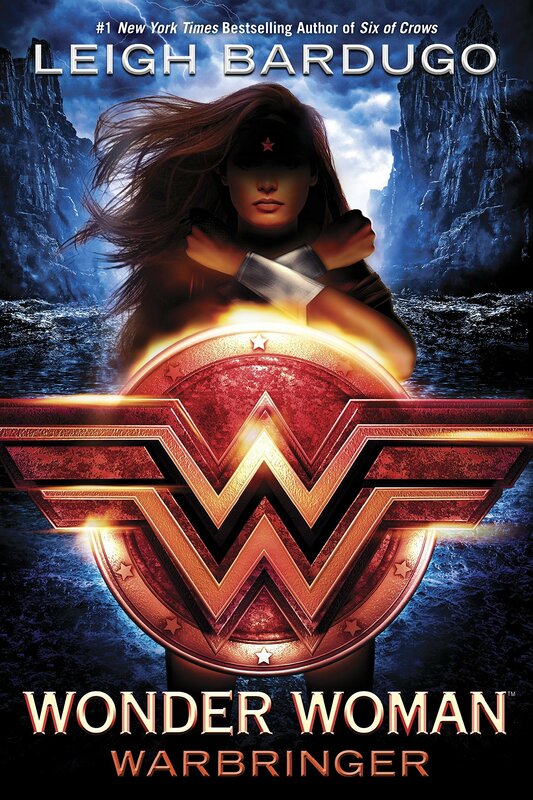 Posted on March 1, 2019 February 27, 2019 by Devi T.
An enticing book coming just after the release of the movie Wonder Woman. With a different twist added. A twist with much more heart-breaking events added to it. A young woman struggling to find her place in her society. A teenager who has trouble coping with her romantic interests and her own family. And her brother, a man struggling to keep a secret so dark, that it will destroy anybody who knows about him. Diana Prince is almost a full adult but still struggles to cope with society and it’s shrewd members. Then one day she has a chance to prove herself, a race. A race which will determine the most agile and quickest woman on her island. And Diana, the youngest ever, is just about to win the race when she hears the explosion which will change her life forever. From then, it just becomes a topsy turvy book, with every page having something new to learn about Diana Prince and the people she meets. The Warbringer, the odd deities which come back to haunt Diana from her childhood stories. From New York to Greece, Diana Prince has an opportunity to explore the human world like never before. Yet, what will happen when she goes back to her island? Will her fellow Amazons still accept her for who she is? This is an absolutely exceptional book with power in each and every word. A truly inspiring novel based upon a truly inspiring woman. Posted on February 27, 2019 February 27, 2019 by Devi T.
In this book, Ben Ripley visits a beautiful coastal city in Mexico. 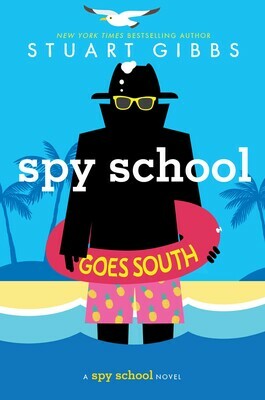 A beautiful coastal city which just so happens to be harboring the most wanted fugitives in the world, in plain sight. It starts off with a rough start, busting a former mole from the CIA, out of jail so that he can lead them to SPYDER’s headquarters, which is the exact opposite of what Murray Hill does. It’s 6:00 am, they are on the plane to Mexico, Erica, an exceptional 4th-year student in the CIA is fast asleep. Murray and Ben are having a curt conversation with each other, suddenly the plane starts to shake. The captains jump out of the plane and leave three teenagers in the body of the plane and two at the rear end, in a falling plane. Leaving these 5 teens to scout for SPYDER themselves in the middle of Mexico. Eventually, of course, they do end up finding the resort where SPYDER has its evil grounds headquartered. A resort with a beautiful view of the Atlantic Ocean. Every spy novel is ever so similar, and there is nothing unique about this one either. It’s like a Marvel movie, you already know the basic structure of it, all you do is change the name add a couple of sketchy superhero costumes and you’re done. This book is the same as it’s predecessors in the series. There is absolutely nothing unique about this, or something which comes as a surprise to me. Yet, I find that a good thing about this book is how the author, Stuart Gibbs, manages to maintain the personality of a character through the whole series, with slight alterations here and there. For example, Erica Hale is cold and curt young women, throughout all the books, that is how Gibbs describes her to be like. Yet, in this new addition, we see her through a different light, where she expresses her emotions. That is an exceptional art which I find only a few can master. Posted on January 9, 2019 January 9, 2019 by Devi T.
A topsy-turvy book, filled with literary nonsense. Even I, (The greatest reader of all time 🙂 Couldn’t understand half of this. An adventure, in a dream full of mystical characters and settings. It starts off with a White Rabbit, scurrying down the nice English countryside. Curious Alice follows the rabbit down the rabbit hole and enters a dark room. There’s a bottle there which says ‘DRINK ME’, she drinks it. She spots a table and sees a key to open the door to Wonderland. But of course, she’s too small to reach it so she eats a cake, which makes her grow to the size of a giant. Alice starts crying and crying and, eventually, creates a pool of tears. After that, she shrinks down to her normal size due to a fan which she picks up. So she is essentially swimming in her pool of tears. The pool of tears fade away and eventually, she finds herself in Wonderland. From there on forth, things take an odd turn. She first meets a caterpillar smoking the hookah on a mushroom. As they talk, Alice realizes how weird and how utterly uncanny this land is. I mean, it’s very odd actually writing a synopsis for this book. Cause even while reading it, you don’t understand it. It jumps from one setting to the next in the oddest of ways. Yet I still believe, that there’s a hidden meaning behind such writing. Whether one chooses to pursue such significance is entirely up to themselves. 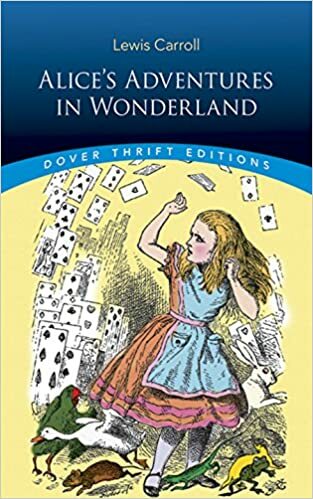 In conclusion, I believe that Alice’s Adventures in Wonderland is a fascinating book, with so much depth and ideas waiting to be found. The secret treasure is hidden and waiting to be found by the reader. How has Technology Affected Humanity? Posted on January 7, 2019 by Devi T.
Hi! This is just an informative/poem type of thing which I did with my friend. I hope you like it and tell me what you think of it! Technology, one of humanity’s greatest inventions. A necessity, that is actually not a necessity. Something people are addicted to, yet they don’t need it. How has technology become a drug? Why have we become so dependent on technology? Why are we happy when we get followers and notifications? How have we become addicted to our phones? Just like sugar, we’re about to prove that technology is really a drug. Why are we happy when we get followers and notifications? Naturally, humans are very social creatures. We love notifications because it gives us the idea that we are communicating. When humans communicate, dopamine is released into the brain making us happy. That is why we strive to get more followers, more views, more likes. It makes us happy to be noticed. When we get notifications on our phone we get dopamine released in our brain, because we are fulfilling one of the human needs: Connection. Humans naturally like to not have to do much; Lazy. So when we can relax, we get notifications which fulfill one of our many needs, to feel like we are in communication with others. How has technology become a drug? Well, humans have gotten so attached to their technology, most humans can’t go without their phones for more than 4 hours! Technology is like a drug because humans have a hard time living without it, they are addicted to looking at their phones. Like how when people get addicted to using drugs. Why have we become so dependent on Ipads and phones? Humans have become so dependent on their phones because the whole world is at their fingertips. They can communicate with anyone, they don’t have to feel left out. They can feel like they are popular, they can feel like they matter. If we listen to a robot, then what will be left of our brains? Did they ever let technology get the best of them? But at the end of the day what pleasure do I really gain on going on my phone? Technology has taken over our lives! Yes, technology can be great! But it can also be addictive! So spend time, away from your phone. Many doctors recommend that humans, don’t spend more than 2 hours on their technology, outside of work and school. Try to get outdoors. Read a book! Play a game of chess, cards, checkers, etc. There are hundreds of fun activities you can do, without your technology! Athena is also a great blogger, who writes about so many things! So go an look at her blog! 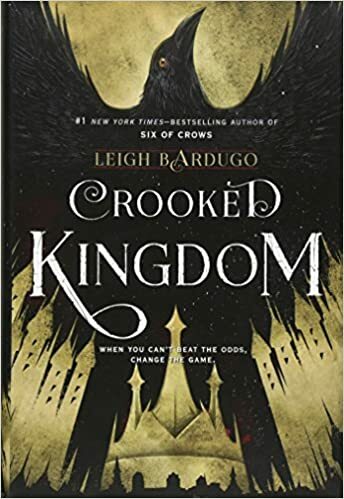 Posted on December 22, 2018 by Devi T.
The Dregs return in the second book following The Six of Crows. Inej Ghafa trapped in the Van Eck mansion. Kaz Brekker struggling with his terrifying demeanor and a new emotion called love. Wylan Van Eck wondering is his father really all that bad? All of this and more packed into the sequel to The Six of Crows. Inej Ghafa is former slave turn badass women. Just 16 years old, she is the second youngest member of the Dregs. In The Six of Crows, she is left in the company of Jan Van Eck, Wylan Van Eck’s father. She is usually very quiet and reserved, and always has a good pair of knives by her side. Furthermore, because of her past, she is excellent at climbing and body coordination. She has dark brown skin with black hair. Her hair is remarkably long, but she always keeps it in a simple plait. Kaz Brekker can be very cold-hearted and many think that he doesn’t even have an inch of pity in him. If he gets an opportunity to work a case, and if he has a strong motive, he’ll do anything literally, anything to achieve that. Personally, I feel like he’s inhuman. He doesn’t like skin-contact and often times refuses to touch anybody for that reason, he wears gloves. In addition, he never forgets anything. This is why he yearns for revenge is so great, he can never forget it. He has dark hair and amber eyes. He has a limp and constantly carries a cane with him wherever he goes. Matthias Helvar was imprisoned on charges of being a slave trader. Luckily, for him though, Kaz Brekker saved him. His personality is very cold and angry. One year in prison obviously must have done something to him. After he was rescued, he was very quiet and hot-tempered. Yet, after he spent a good amount of time with the Dregs, his anger level had decreased from a 10 to an 8, which is very good, supposedly. He has very blond hair, almost white with cold icy blue eyes. He is very tall and muscular. Nina Zenik is a Grisha. Meaning that she practices the “Small Science.” She’s gifted in multiple languages. She has special powers which allow her to heal people very quickly. This is why she is an imperative person in the Dregs. She seeks to elevate her powers to a new height. This is why she eats something called Juda parem. Nina is known to be very loud and hilarious. Furthermore, she has curly brown hair with deep green eyes. She’s very tall and charming. Jesper Fahey is a gambler. Probably the youngest gambler there ever was. He is very friendly yet sometimes very sarcastic and smart. Furthermore, he is often described as cocky yet, good-natured. It is revealed in this book that he had a very rough family history. His mother was a Grisha and she died using her powers. This is why his father, told him to never use his powers for fear of his death. Yet, it is known that when a Grisha does not use his/her power, they become “sick.” Meaning for Jesper, he cannot use any of his powers which are contained inside of him, therefore causing him to be a bit more reckless in his youth. He has dark brown skin and is very long and lean. Wylan Van Eck is probably the kindest and considerate out of the Dregs. Furthermore, he is very shy and only speaks when told to. In addition, his is very curious and often questions how things function. This is what makes him a unique part of the Dregs. He has a face like a baby and is often treated like one. With rosy cheeks and auburn hair, he is like an elder Peter Pan! He is the son of Jan Van Eck the notorious villain in this book. Meaning, that Wyla Van Eck struggles with his identity as a son, or as a member of the Dregs. 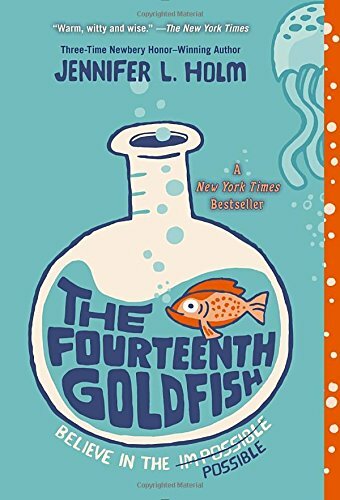 This book basically follows these teenagers and other side characters in their journey to stop Jan Van Eck. Posted on December 21, 2018 December 21, 2018 by Devi T.
The adventure continues with Morrigan Crow. 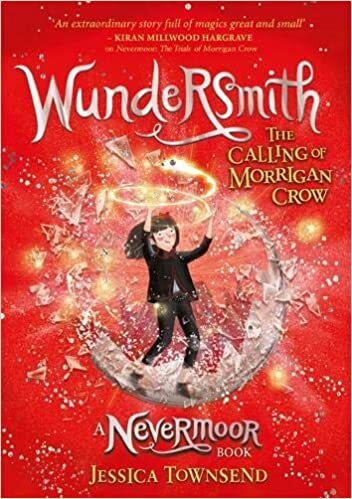 After getting accepted into the Wondrous society, Morrigan Crow faces challenges which she has never faced before. A big reputation which she is to maintain. I’m sure, that we can all relate this. She’s often disregarded as a Wondrous member because of the fact that she is an outlaw in Nevermoor. Throughout this book, she faces challenges which she never thought she would face, and old enemies arise back up from the ‘dead’. Worst of all, the new Wondrous Society members who joined with her, start to turn against her, after a mysterious note threatens to break apart the nine members of the Wondrous Society forever. Yet, even during these troubles which she faces, she has her friends to help her get through them. Even a new addition, Cadence Blackburn, the former enemy now one of Morrigan Crow’s closest friends. Furthermore, her patron Jupiter North still teaches her everything she needs to know about being a Wondrous Society member. He stays by her side even in her darkest of moments. Which, trust me, is very dark. The dreaded Ezra Squall appears. He is back now, stronger than ever. Trickier than ever. It’s up to her and her loyal friends to stop Squall from taking over the Wondrous Society. Posted on October 18, 2018 by Devi T.
The Emperor’s New Clothes teaches us that we shouldn’t let our pride overpower the truth. It’s fascinating to think that even in the 19th century these authors thought so deeply about such subjects. A narcissistic emperor who is drawn to clothes for himself hires a pair of weavers who will make a “perfect” suit. However, these weavers manage to convince the emperor that they’re using a specific type of fabric which is only visible to the wisest of the men. Those who are incapable of performing their position in society would not be able to see it. The thing is though, they’re not really spinning anything, they are spinning air! As the weavers work on their so-called “suit” the emperor sends his ministers to catch a glimpse at the great clothes. Of course, they can’t see anything, but for fear of looking as unfit for their position they quickly admire the “suit” as a wonderful piece of art so does the emperor. Once the weavers are done with their fabulous suit, they show it to the vain emperor. Once he finishes wearing these clothes, he parades across town with them, all of the towns-folk presumed that if they said that the emperor was wearing no clothes, they would be known as dumb so they went along with the act. Yet, a young boy who didn’t understand this “act” points out that the emperor isn’t wearing anything, rather is naked. The emperor realizes that this is correct but, still continues to parade… naked. Now, this may just be a small and rather short little folktale. Yet, as a wise guru once told me; quality over quantity. Hans Christian Anderson had many little tales, but each of them had a significant moral.